With Portland Power Window Repair / The Power Window Doctors™, you have found an affordable, dependable and professional solution. Call Portland Power Window Repair / The Power Window Doctors™ and we’ll come to you. You make a simple phone call, we quote you over the phone, schedule a repair time frame and you continue with your life. Your power window repair problem is solved. Portland Metro Service area. One of the fastest growing metropolitan areas in the the United States. Our city is projected to grow by more than 200,000 people in the next 5 years. People from California, Arizona and the Midwest find the Portland area very hospitable. Plenty of career jobs with Intel and many more employers. The Power Window Doctors™ services all makes and models. Subaru is a very popular manufacturer because of their all wheel drive vehicles. The Power Window issues in the Northwest are different than the Power Window issues in the South. 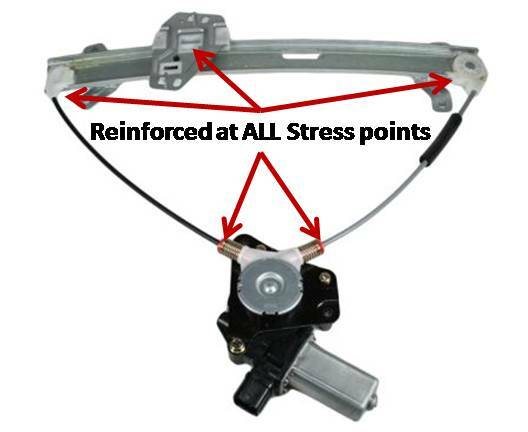 Up here we deal with ambient moisture that causes power window regulator cables to rust and break. The power window motors will rust on the inside and build up carbon on the armatures. The Power Window Doctors™ know power window repair and the issues from all over the nation. 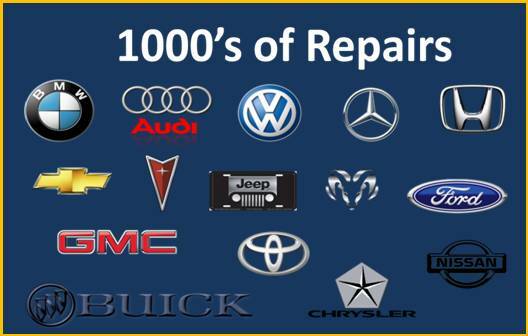 We can diagnose about 90% of the problems over the phone and show up with the right parts. Most repairs are done within an hour, but you’re never waiting in a waiting room. We come to you and you can continue working or doing what you do at home. Call The Power Window Doctors™ when you hear that distinctive “SNAP” or when it just stops working. Your Time & Money are valuable and we’ll save you 40-70% off shop and dealer rates. February 6, 2015 – Portland OR. – 2005 Honda Accord Front Driver Power Window Repair Regulator – Melissa K.
“I love living in Portland, I really do. Except when it’s pouring down rain. And your window fails to roll up on the drive home late one night. WHAT DO YOU DO?! You call these guys. Friendly, prompt, and speedy service! Not only is Power Window Repair a mobile service (They came to me! ), but they actually showed up when they said they would! I was given an hour window and they showed up smack dab in the middle, complete with a phone call before to let me know they were on their way and an ETA. I dunno about anyone else, but most companies I’ve ever worked with show up a few hours LATER than their allotted time. You can imagine how pleasantly surprised I was! To top it off, they were incredibly friendly and finished repairing my power window within 20 minutes or so (this type of repair is this company’s specialty, so they’ve got this shiz down!). PLUS, the work they did was super affordable, especially in comparison to other repair shops. June 16, 2016 – Tualatin OR. – 2003 Ford F150 Crew Cab Power Window Repair Regulator – Rachel W.
September 18, 2017 – Damascus OR – 2004 Subaru Outback Front Power Window Repair – Motor – Clare S.
January 26, 2017 – Portland OR – 2006 Infiniti G35 Front Power Window Repair – Motor – Kaleigh A.
July 25, 2017 – Cornelius OR – 2004 Jeep Liberty Front Driver Power Window Repair – Regulator – Dean N.
“We were about to leave on a road trip to Seattle when the drivers side window fell into the door. I sent a Yelp message to this business late Saturday night. I had a reply waiting for me when I woke up Sunday morning asking me to call. I did, we met about a half hour later, the window was fixed, and we were on our way. I didn’t have an opportunity to call around for quotes but the price seemed fair and the repair took less than a half hour. I highly recommend this service and would use it again. This function has been disabled for Portland Power Window Repair.